I first found out about Kyno when I was approached by a stranger at NAB who asked if he could have five minutes of my time. This stranger introduced himself as Robert and asked me to watch a short video on his iPad. To be honest I was skeptical before he hit the play button, but after watching the presentation I was keen to find out more. Kyno is one of those programs I wish someone had come up with a long time ago. In short it allows anyone who has a Mac and is running Mac OS X starting from version 10.9.5 (there is a Windows version coming) to view, log, organise, and transcode footage from just about any type of camera or codec. I am always working with correspondents or producers in the field who don’t have NLE systems on their computers and the whole production process slows down when they want to log and view material. There is such a wide variety of codecs from different cameras, and nobody wants to have ten different programs from ten different manufacturers just to be able to do simple logging of material. 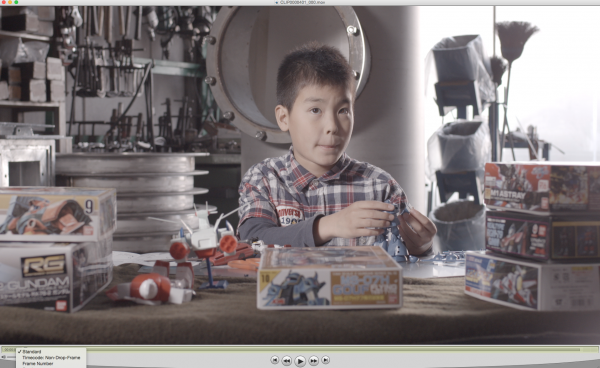 I mostly shoot straight to ProRes these days, but without a NLE it is hard for others to log and view the material. Sure you can just open the files with current Quicktime, but it doesn’t display any timecode and you can’t do much else but view the file. I usually get producers and correspondents to download Quicktime 7 to view the material so at least they can log clips with the timecode. I have also tried installing and using Sony’s Catalyst Browse on other people’s computers only to see it repeatedly crash, so I gave up on that program. Kyno is the first program that I have used that actually makes this whole process much easier and more efficient. I talked to the Kyno creators Robert and Thomas about the product and asked them how it came about, and what drove them to create it. You can listen to those answers and a lot more in the audio interview above. The Kyno interface is very easy to use, particularly if you’re just looking to organise clips and log and view footage. Above you can see a quick video I did that explains some of the program’s features for logging and organising material. The program offers some really nice options for logging material and allows producers or reporters to make markers and create sub clips for files that can then be exported as an Excel document. This allows someone for example to log an interview, then export all the timecodes with an associated thumbnail and all the notes in a very easy to read format. You can also send your files with any of the metadata attached directly to Final Cut Pro 7, FCPX and Premiere Pro. I have tried using Kyno with a range of different formats and cameras and am yet to find one that won’t work. Currently there is no support for Raw video formats like RED Raw, Arri Raw, or Adobe DNG as produced by Blackmagic Design cameras. Adobe DNG and other Raw format support is planned, but there is no ETA yet. One of the other powerful features of Kyno is transcoding. It allows you to batch-transcode or rewrap from and to many different formats including ProRes, XDCAM and MPEG-4 to name a few. Above you can view a tutorial video on how transcoding is done. Kyno is still in beta and you can currently download it for free. The paid version will be available in August 2016 for a retail price of $159 US.